Legend of Kay was originally a PlayStation 2 game which came out in 2005. The game knew quite a big fanbase and in 2010, a Nintendo DS adaptation tried to get handheld gamers in touch with the game but unfortunately, that version wasn’t very good. Now, new generations of gamers have probably never heard of Legend of Kay so what’s a better way than to introduce the game to newcomers with a remastered version? Yenching, a rather peculiar and mysterious land, initially provided a home and shelter for all kinds of animals. Of course, not all animals are best buddies so the inhabitants had to surrender themselves to a certain religious path, called ‘The Way’. Thanks to The Way, there was peace in Yenching and each kind of animal kept to his or her town so no arguments would arise. After a while though, it became harder and harder for the civilians to stay true to The Way and things slowly began to fall apart. On top of that, Yenching was invaded by gorillas and rats who now dictate everything while suppressing the native inhabitants. 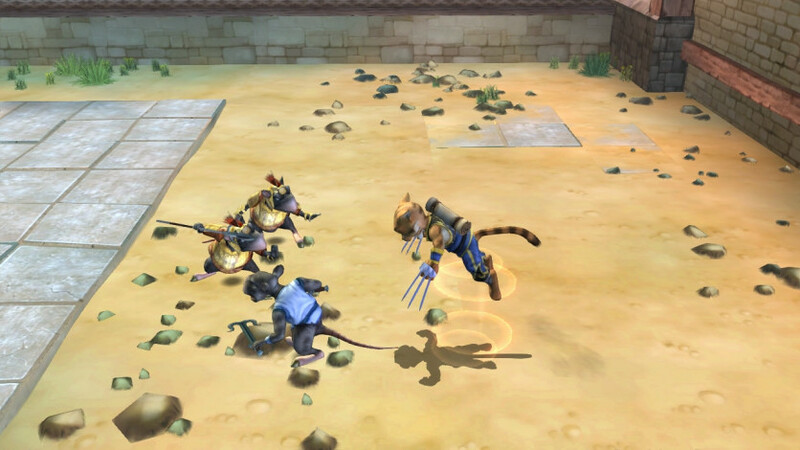 You play as Kay, a young but energetic and honest cat who’s also a student in the martial arts. Kay himself is not a big fan of the whole idea behind The Way and focuses more on his psychical training to become strong and agile. One day, the gorillas and rats decide the martial arts school has to go and when the Master (the teacher of the school) just meekly agrees with that, Kay furiously steals a powerful blade and leaves town. Kay then goes to all kinds of places like the Haretree, Frog City and the Forbidden City to name a few. On his journey, he needs to fend off troops of enemies and eventually, the ‘The Way’ issue and Kay’s personal crusade to stop the gorillas and rats neatly become entangled. All in all, the story is nothing extraordinary but it suffices to have a good time whilst playing the game. For a remaster of a 10 year old game, Legend of Kay Anniversary looks more than decent and thanks to the colourful environments and characters, you won’t become bored all too soon with the graphical representation. The only downside in this department is that there isn’t much to be found in the options menu to tweak your game to your liking. Choosing an alternative resolution or changing shadows and lighting settings might prove to be the solution to any performance related issues. The game offers an enjoyable soundtrack and the sound effects too are certainly pleasant enough to hear. The only huge problem lies in the voice-acting which is just terrible at some points. The main character has been spoken in by a young actor which barely puts any emotion in what he says and it was hard to find any character with a decent voice actor or actress doing the dialogues. Count hereby the fact that the lip synchronization is way off the charts throughout most of the game and you know that any dialogue can become quite the annoyance to witness and resisting the urge to skip those parts (if skipping is even possible as it doesn’t seem to be an available option for some dialogues) is not something you want your customers to go through while enjoying a video game. 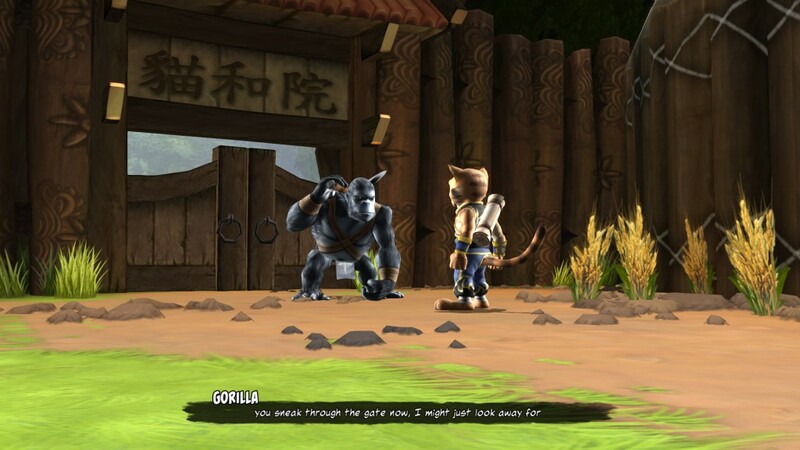 Legend of Kay is an action-adventure game with platforming elements mixed in between. You’ll guide Kay, the main character, towards his goals and quests while defeating opponents who cross your path. The fighting mechanics are quite well done and the combo system also works like it should. Blocking can be a bit more of a pain as you always have to look at the enemy whose strike you want to block. The mouse controls might refuse to cooperate fully at some points in the game and this makes blocking a very tedious labor instead of a fluent game mechanic. Aside from the blocking though, the combat is fun enough and striking enemies down with some (rather simplistic) combos will leave you with enough satisfaction on that part. Keep in mind though that playing for hours upon and end can result in the combat feeling very repetitive so if you start to like it a bit less, turn of your comp and come back after a short break. 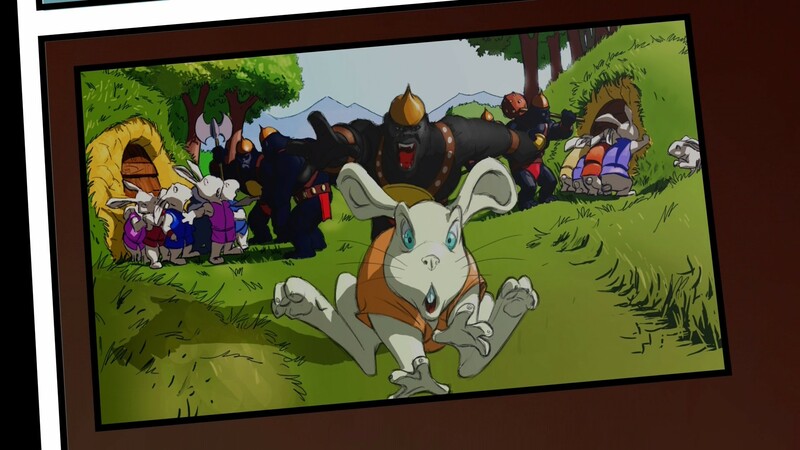 Besides the general walking around and doing fetch quests (yes, the obligatory fetch quests are present here too), there are some side activities to do like boar-racing and wolf-riding. Although they won’t keep you occupied for very long as those intermezzos are often quite short in length and become quite repetitive after a while, it’s still fun to do something completely different for a moment. Apart from those side activities, there are also a bunch of objects to collect if you’re into that. The game isn’t without its technical hiccups as for one, the camera controls often stood in the way of an enjoyable boss fight or platforming sequences. All too often the camera doesn’t cooperate and leads you to a one way ticket to a restart point. The optimization also didn’t seem quite right as FPS drops were all too regular and that really ruins a bit of the gameplay fun. In fact, when the game switched to comic-style cutscenes, the FPS dropped so badly that watching the cutscenes became almost impossible. Together with stuttering audio, the FPS problem really should get looked at as most of the story-related events take place in those comic-styled scenes. 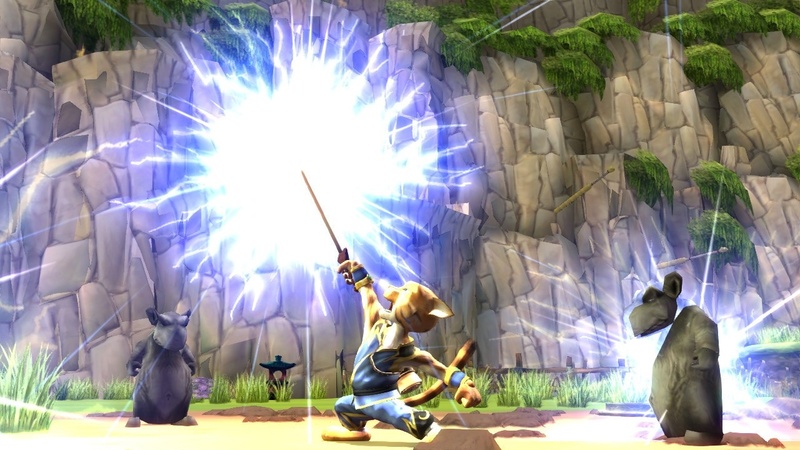 Legend of Kay Anniversary is a quite enjoyable game but it knows its deal of problems. The voice acting is just dreadful at times and the technical hiccups ruin a bit of the gameplay fun but thanks to a decent story, colourful environments and the simple yet enjoyable combat, Legend of Kay Anniversary will please both newcomers and veterans alike. Especially the latter will be pleased with this version of a 10 year old PS2 game. All in all, it could’ve turned out much worse so if the game looks like a fun one to spend some hours on, go give it a try but don’t put the voice volume on the maximum as that might put you off very quickly.